My girls love to bird watch and living near the LA river we see a lot of them. Many nights at dinner time we hear flocks of geese headed towards the river. Every time the girls get up and run out onto the porch to watch them. The first time this happened their shouts of "geese, geese!" turned to proud proclamations of recognition "and they're Canadians!" In my girls eyes they are no longer geese they are "the Canadians". In the meantime I've noticed a lot of my patterns sales are coming from up north filling my head with visions of the maple leaf or that time I got pulled over for indeterminate reasons at the border crossing near Detroit but that's another story. So! with Canada on my mind & in homage to my Canadian friends preparing their warm woolys for the cold months to come here's my latest offering "the Canadian". #16mm (#19 US) straight or circular needles. I couldn't find a Canadian needle measurement for a US #19. 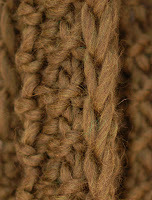 Gauge: 6st & 8row = 10cm (4") in pattern. Finished measurements: @14cm X 61-137cm or 5.5" x 24-54"
Work pattern for at least 61cm(24"). 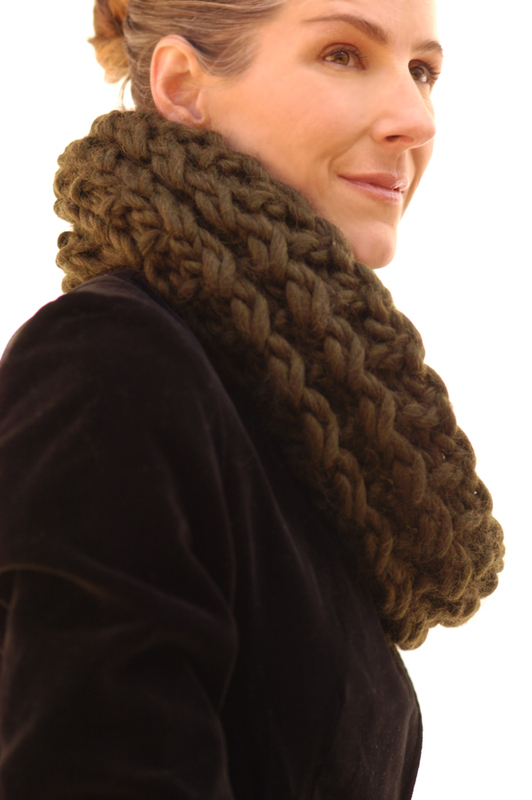 This will make a shorter cowl. 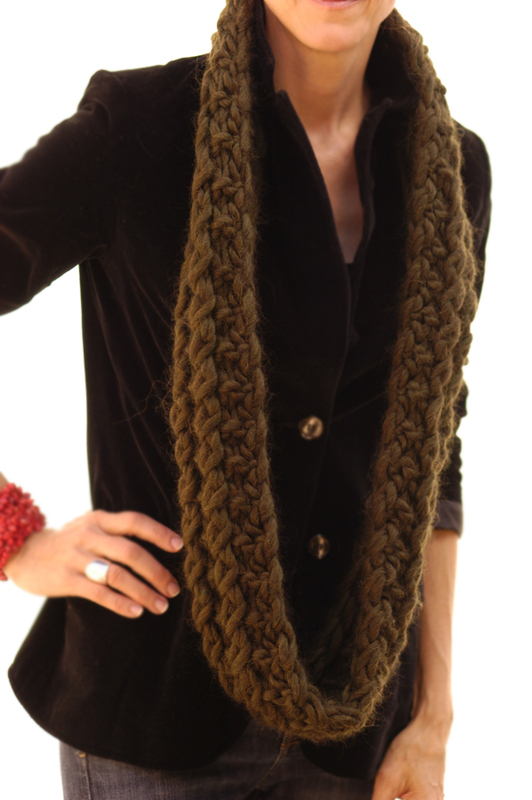 Repeat Rows 1 & 2 until desired length (at least 61cm (24") for a shorter cowl) and bind off. 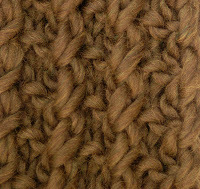 Sew cast on & bind off edges together. 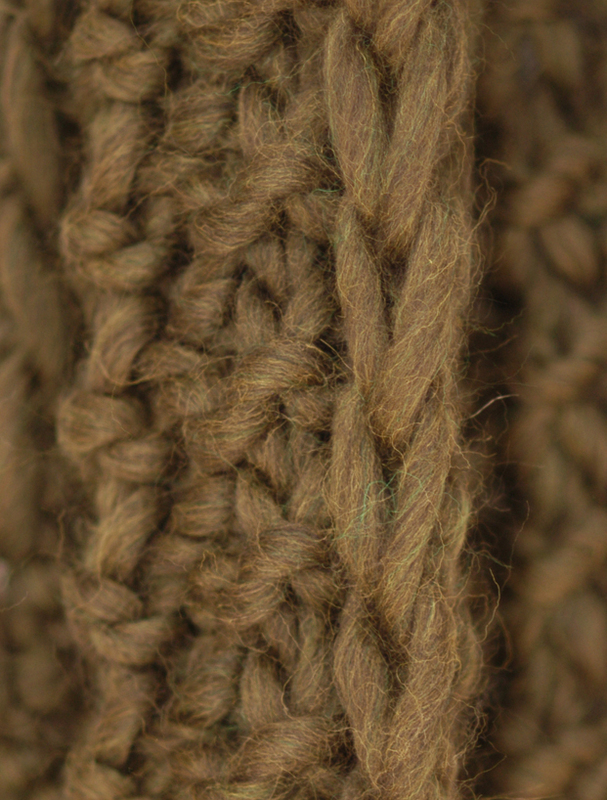 This shows the slipped stitch edge and a portion of the wrong side. 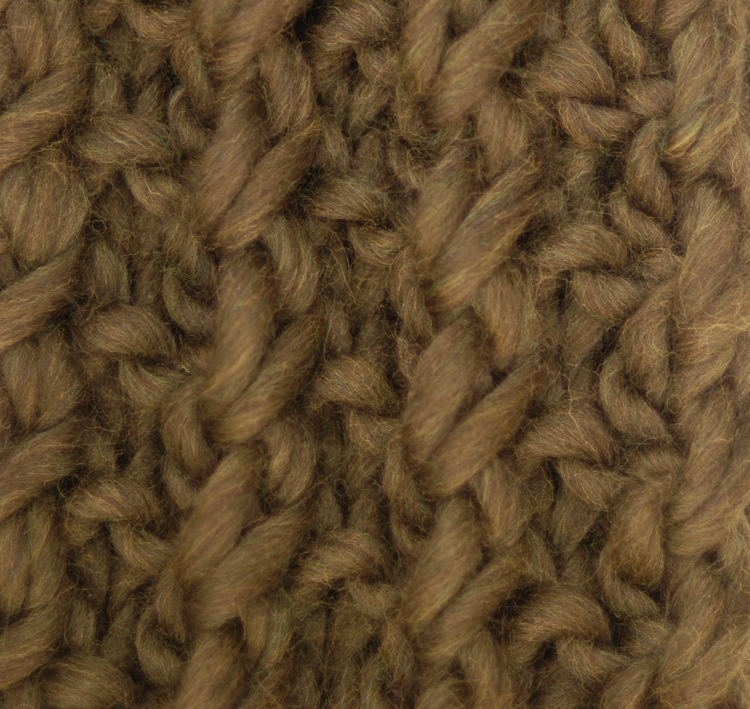 This is how the stitch pattern looks as it's worked up. I really don't understand row 2 skip first stitch knit second and drop them please can you explain where to drop them too. You want to knit the 2nd stitch on the needle and keeping that stitch on the left hand needle go into the 1st stitch on the left hand needle and knit that, then take both the stitches off the needle. Basically you're crossing your stitches without having to use a cable needle. For the slip stitches do I slip them knit or purlwise? Hi Beth, slip them purlwise. Thank you Beth for a great pattern. I love your patterns and have made at least 2 of your vests for DIL and her sister. They are well loved. 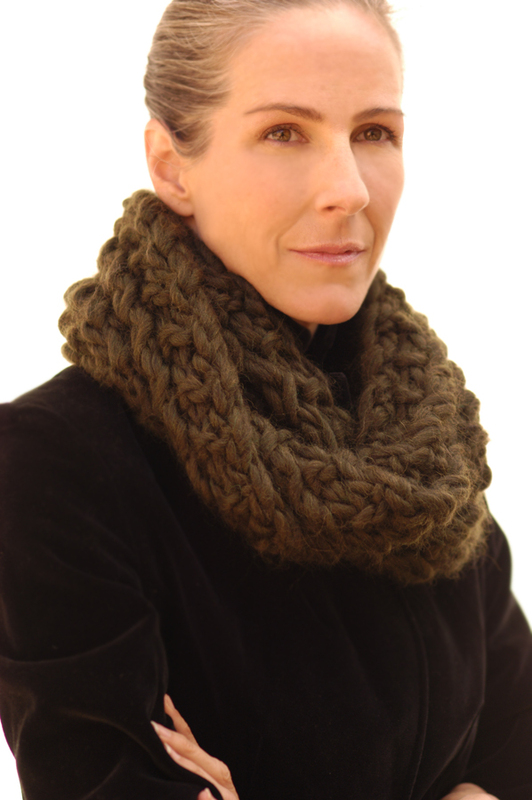 so beautiful, thank you for sharing the pattern! !